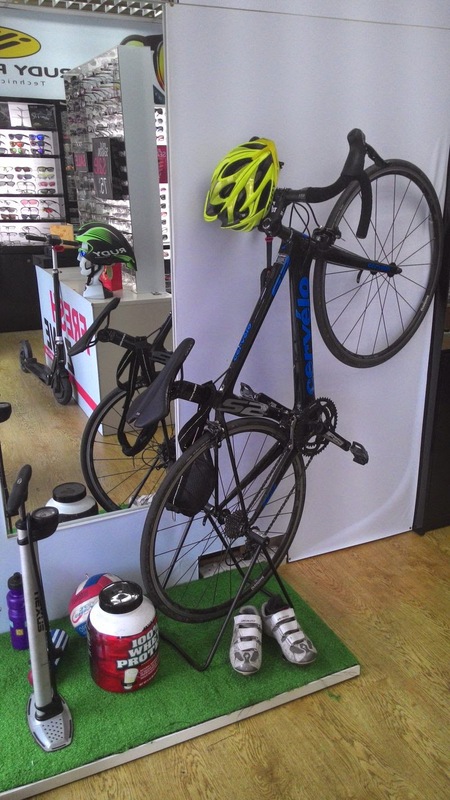 Uptown Blog: Malaya Optical now into marketing bicycles and accessories? Malaya Optical now into marketing bicycles and accessories? Interest piqued, I walked into the shop and bumped into Ryan Ho, the boss, optometrist of Malaya Optical, and now Damansara Utama Ortho-K specialist. Asked him if he has added bicycles and accessories to his large store optical products offerings and the answer was in the affirmative although body language says he is not as confident as he usually is but affirming that is done in a small way. Nice encounter for I learned new stuff, this revolutionary Orthokeratology which can correct growing children for myopia without using eyeglasses, contact lenses or Lasik.